If you’ve gotten excited about AI’s reach into the business sector, you aren’t alone. Around 61% of businesses have already implemented some sort of AI initiative, and it’s likely your business has as well. If your AI initiative isn’t delivering the results you expected, it may not be the AI. In fact, there’s a good chance your AI initiative was destined to fail the moment you put it into place. Aren’t sure if that applies to you? Here are six signs you’re falling behind in the AI race. “But Elizabeth,” you say, “we did this for the business.” And that may be true. However, if you’ve got an expensive deep learning set-up that can produce churn reports about why customers are leaving but don’t have any kind of plan in place to 1.) contact those customers and 2.) actually put in the work to reduce that churn, your AI is just a fancy paint. Implementing AI isn’t about the AI itself. Machines can only process data; they can’t tell you how to respond or do the human work of innovation, problem-solving, and relationship building for you (yet). If your AI is only churning out reports that sit on your desk forever, you’ve missed the point. The Fix: Tie AI initiatives to specific business outcomes and build a consistent plan of action. 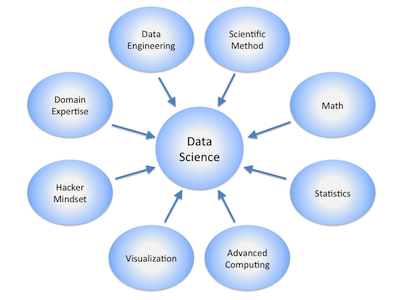 Data collection is the cornerstone of your deep learning process. AI needs large amounts of data to train and learn. You may think this means any data, but that’s not quite it. AI needs the right kind of data to train or the initiative isn’t going to get off the ground. If you’re in the marketing sector and all your data training sets are tied to the legal field, that’s not going to give your AI initiative the right kind of data to train. Seems obvious, but a large number of businesses simply throw all the data at the machine and expect it to turn out reports like magic. It’s not going to work. The Fix: Get your data in order, now. AI isn’t going to repair deep structural problems within your business. If you’re expecting to implement an AI initiative to patch holes in a leaking ship, it’s not going to work. The truth is that AI won’t replace the value your employees and customers have in your business. AI isn’t a replacement for poor leadership or a terrible workplace culture. If you don’t have the teams in place to implement AI recommendations, your AI initiative isn’t going to go anywhere. Haphazardly implementing an AI strategy in a last ditch effort to save your company is a project doomed from the start. Without a realistic view of what AI can do and the team to take those insights and form consistent plans of action, you’re only solving a temporary problem. The Fix: Build your human capital first. Improve workplace culture. Fix your leadership. Then bring in the machines. Many business-AI use cases involve your customer experience. AI can help improve efficiency in your customer journey, but if you aren’t listening to what your customers actually want, it’s not going to help. For example, you implement AI to make predictions about which customers are most likely to take part in a service, but you miss the biggest factor in what makes your customers walk away, lack of customer service. What your customers really want is to be able to message you about basic questions, but you’ve still got an old fashioned phone and an out of date Yelp page. You aren’t listening. So you implement AI for all the things. Again, AI isn’t magical. It’s not a replacement for a good team or a working business strategy. If you don’t have a specific segment of your business to build through AI, you have no ROI measurements in place because you don’t’ know where you want to end up, your AI initiative isn’t going to be effective. Businesses should have specific measurement strategies in place to know their targeted AI projects are working. Note, targeted. Until you get really clear about what you’re doing and why you’re doing it, you won’t get very far because there’s just too much data. Big data can be a gaping hole, so you have to know where to focus all that energy before your business is swallowed. The machine can only process the data for you. It can’t lead your business. You’d never hire a person to be your CFO/Data Engineer/Content Marketing Manager/receptionist so why would you expect the machine to do the same? The Fix: Take a good long look at the scope of your AI initiative and decide if it’s specific and measurable. If it isn’t, refine until it is. You may not get your AI project exactly right the first time and that’s the beauty of these deep learning initiatives. If you insist on running the programs over and over even after it’s obvious they aren’t working the way you set out, you’ve got a problem. The initiatives should be flexible enough to take feedback and shift appropriately. In the age of Agile, iterative initiatives should be the norm. Each stage needs to be measured, evaluated, and then altered based on what the data says and how your business is reacting. You need to make time for innovation as well. Company cultures that don’t punish failure tend to produce the types of innovations that make difficult (and often expensive) AI initiatives all worth it. If your project is too rigid, innovation doesn’t happen. The Fix: Treat your AI initiative as an iteration. Consistently check in and make adjustments until it’s providing the ROI you need. You don’t have to be one of those businesses who fail. You can successfully implement your AI strategy as long as you know where to look, how to measure, and what you’re improving. Above all, valuing your human capital as the driver of AI helps everyone remember why AI is here in the first place: To provide backup to humans so that humans can get back to what we do best, problem solve, build relationships, and innovate. 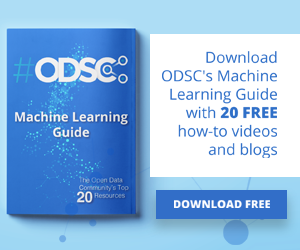 Editor’s note: Want to learn more about how to get your AI initiatives off the ground? 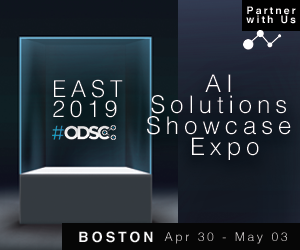 Attend the Accelerate AI conference this April 30-May 3 in Boston and learn all about connecting AI to your business today!